Tooth extractions are common general dentistry procedures for patients of all ages. At Lawrenceville Family Dental Care Dr. Ashish Patel is proud to provide expert tooth extractions to promote the health of the mouth. For children and adolescents, it is often necessary to extract a tooth in order to make room for another tooth to erupt inside the mouth. By extracting a baby tooth, it can decrease the chance for an infection in the gum to develop and decrease the chance that the teeth will be severely misaligned. There are also times when permanent teeth need to be extracted in order to promote future oral success. Dr. Ashish Patel is an experienced and compassionate dentist whose entire dental team is committed to your comfort and care during tooth extractions. Once a permanent tooth extraction has been performed it is often necessary to provide further dental treatment to prevent complications. Dr. Ashish Patel is proud to offer restorative dental procedures such as dentures and dental implants to help you achieve and maintain a healthy, beautiful smile. For painless wisdom teeth removal in Gwinnett County, you can trust the expert care that you will receive at Lawrenceville Family Dental Care. Dr. Ashish Patel is a board certified dentist who provides wisdom teeth removal for patients who have impacted wisdom teeth or wisdom teeth that are causing issues within the mouth. Wisdom teeth that fail to emerge properly in the gum line can cause the neighboring permanent teeth to shift out of their correct positions. This is extremely problematic for those who have already successfully completed orthodontic treatment. Impacted wisdom teeth can also cause severe pain and abscesses to occur, putting the entire mouth at risk for infection. 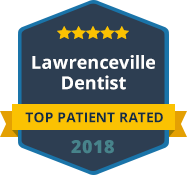 Contact Lawrenceville Family Dental Care for expert care and precision for wisdom teeth removal. Your comfort is one of our top priorities, and we are here to serve you and your family with the highest standard in dental care services.